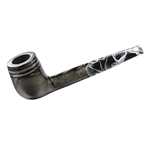 Dapper Silver Band Olive Wood Pipe - 9mm - A silver band adds a handsome touch to the olive wood grain of this 9mm pipe. 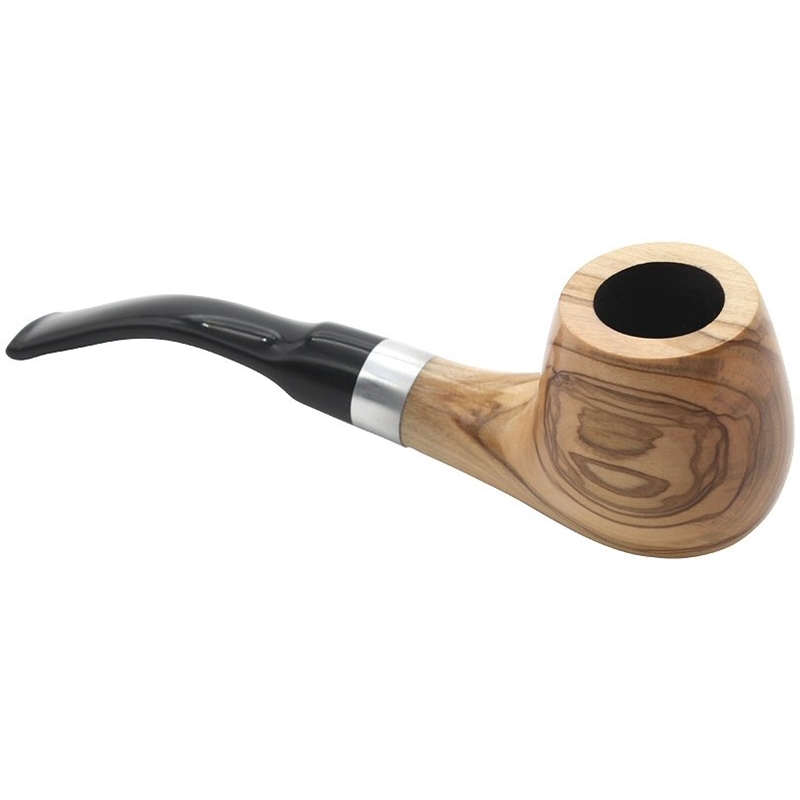 Dapper, the maker's name, is stamped on the side of the shank. The black vulcanite stem is only slightly bent and the pipe has an easy draw with or without a filter. 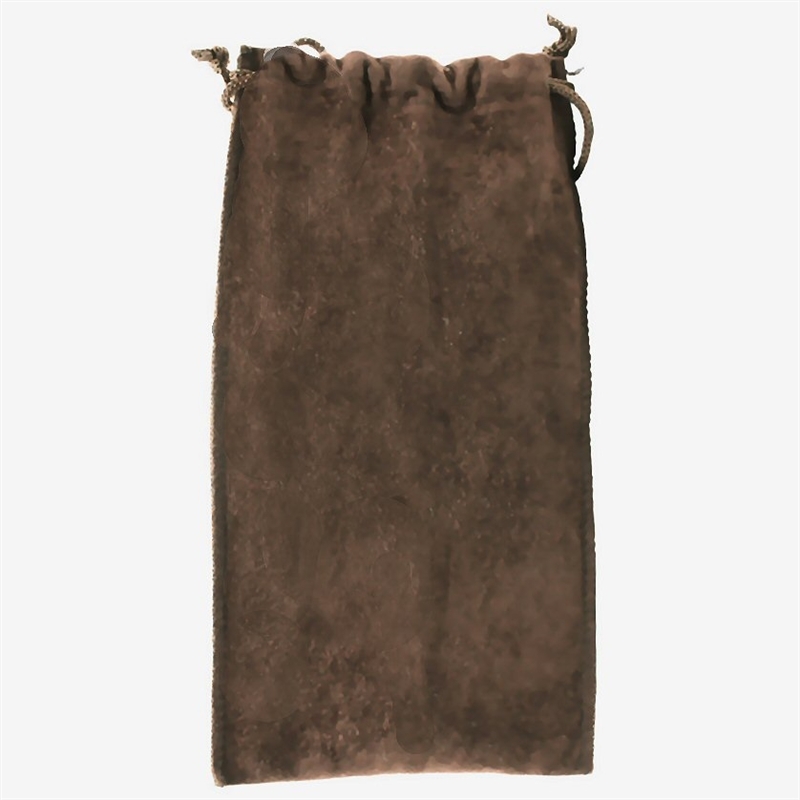 A brown velvet drawstring pouch is included with your purchase. Olive trees are usually only harvested when they are too old to produce olives. Most trees are not touched until they are at least 70 to 80 years old. Some trees have even been found to be between 350 and 700 years old. 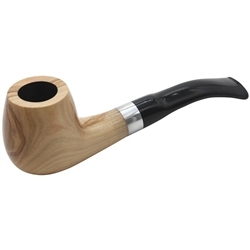 This means that every pipe comes from a tree that has been cared for by generations of olive farmers. 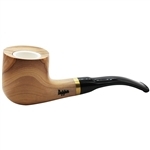 It is cherished as one of the hardest, densest and most durable of all woods with superior resistance to damage from long term use and moisture.